Ashok Leyland (ALL) hit a new high of Rs 145, up 2.5%, extending its previous day’s 1% gain on the BSE in otherwise subdued market. Hinduja Group flagship ALL has outperformed the market by gaining 8% in past one month, as compared to 3.6% decline in the S&P BSE Sensex. The company’s net profit jumped almost three-fold to Rs 4.49 billion in Q3 from Rs 1.61 billion in the same period a year earlier, overtaking analysts’ estimates of Rs 4 billion. Despite an increase in raw material costs, which surged 58% to Rs 54.06 billion from Rs 34.02 billion a year earlier, and high discounts on vehicles continuing, ALL improved its operating profit margin by 100 basis points, both year-on-year and sequentially, to 11.1% in the third quarter of FY18. Angel Broking initiates coverage on the stock with a Buy recommendation and 12 month target price of Rs 163. The brokerage firm expects ALL to report net profit CAGR of ~19% to ~ Rs 20.75 billion over FY2017-20E mainly due to improvement in replacement demand (implementation of vehicle scrappage policy, which opens huge opportunity for Ashok Leyland). Post GST rollout, LCV demand is picking up strongly due to consolidation of warehouses (hub and spoke model). 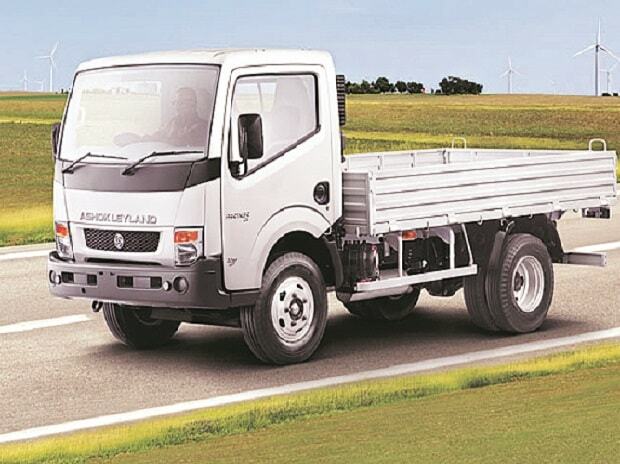 Moreover, improved rural demand coupled with boom in e-commerce will drive LCV demand. The LCV industry reported robust ~19% growth in 9MFY2018. Going ahead, we expect growth momentum remain strong, it added. ALL is engaged in the manufacturing of commercial vehicles and related components. The company’s products include buses, trucks, engines, defense and special vehicles. At 11:52 am; the stock was trading 2.3% higher at Rs 144 on the BSE, as compared to 0.44% rise in the Sensex. A combined 1.21 million shares changed hands on the counter on the BSE and NSE so far.